HUGE HAUL || Winter Fashion & Accessories from New Look, Miss Selfridge, Primark & More! 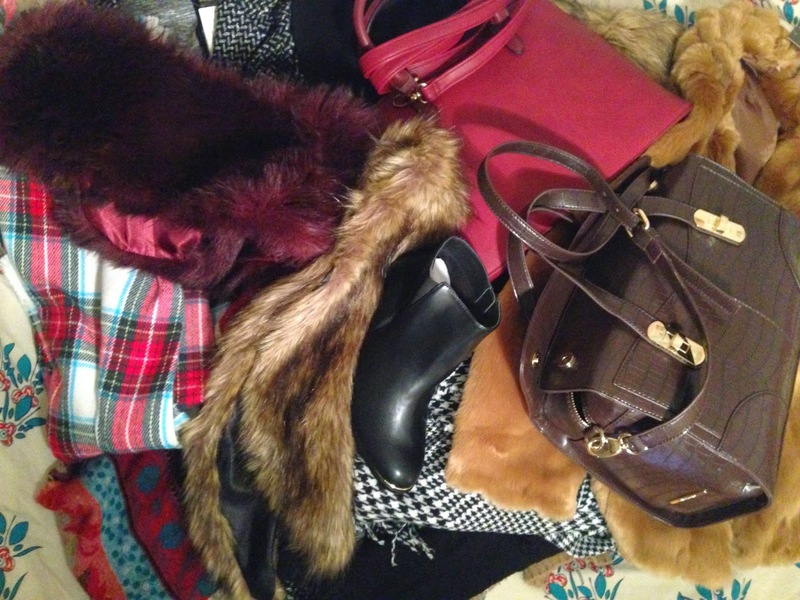 This week's fashion post is going to be a pretty massive haul. It's officially Winter so I hit the high street to pick up some fashion and accessories to wrap up in over the coming months...Obviously I didn't buy this all in one go because even I have limits! Behind a cut because, trust me, it really is HUGE! How did it take me so long to get my hands on one of these?! 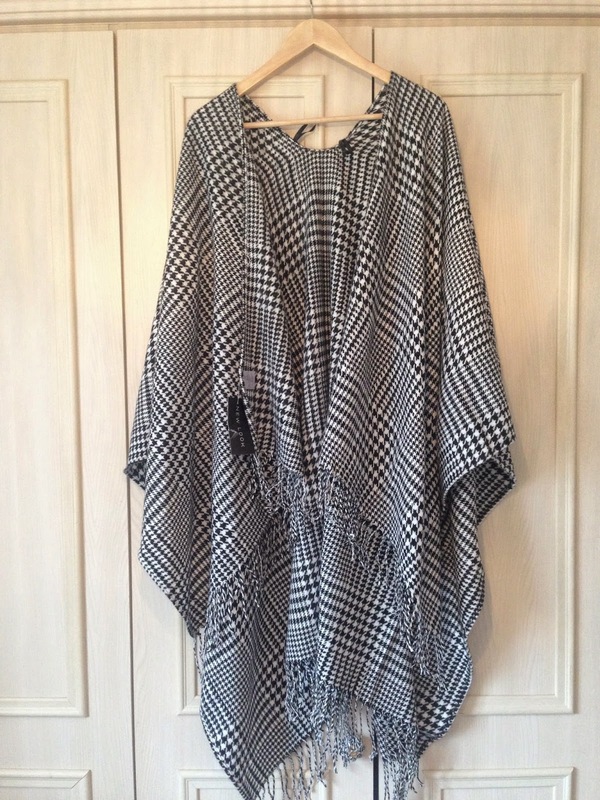 I just love this blanket wrap as it's so affordable and there are loads of ways to style it. 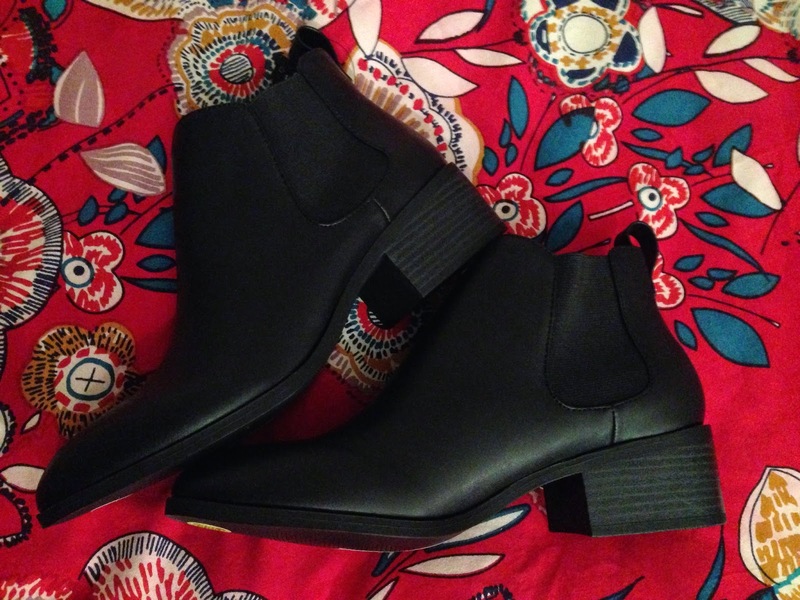 Also from New Look I picked up a pair of black Chelsea Boots - they're the kind of thing I wear most days and I chose these because they have a slight heel. More shoes! I seriously needed them though! 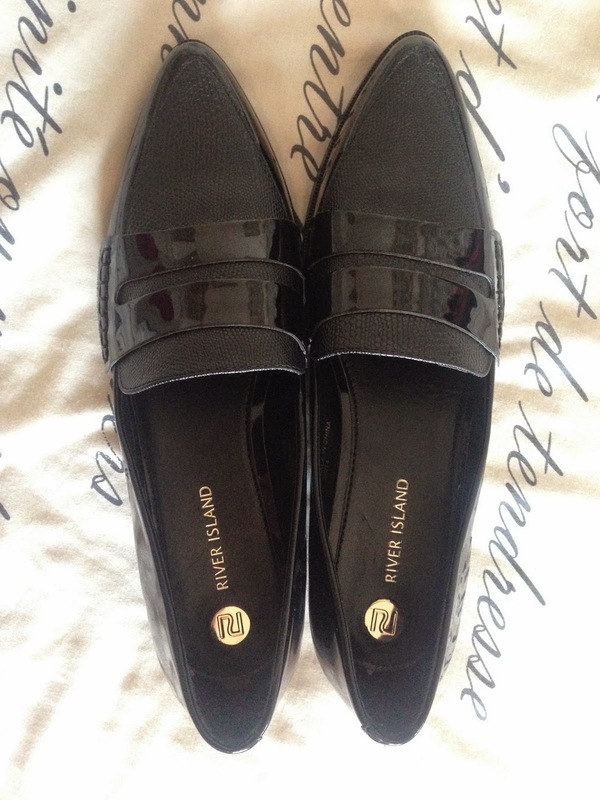 These flat loafers from River Island are the perfect stylish black flats to wear in or out of work. They feel really sturdy and I thought they were going to be way more expensive when I picked them up. I bought them in-store a few weeks ago but can't see them online so I linked some similar ones. I neede handbags - ok?! I was after something a little more oxblood but this red-pink berry bag was such a perfect style and size so I went for it. 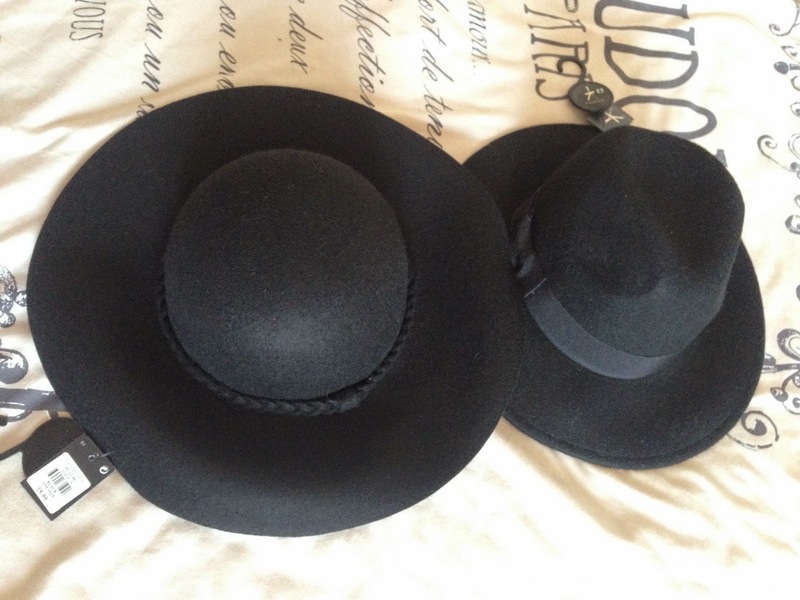 I really wasn't sure if hats were going to be for me so these bargains from Primark were perfect to test the waters with - definitely check them out as they really are fab! 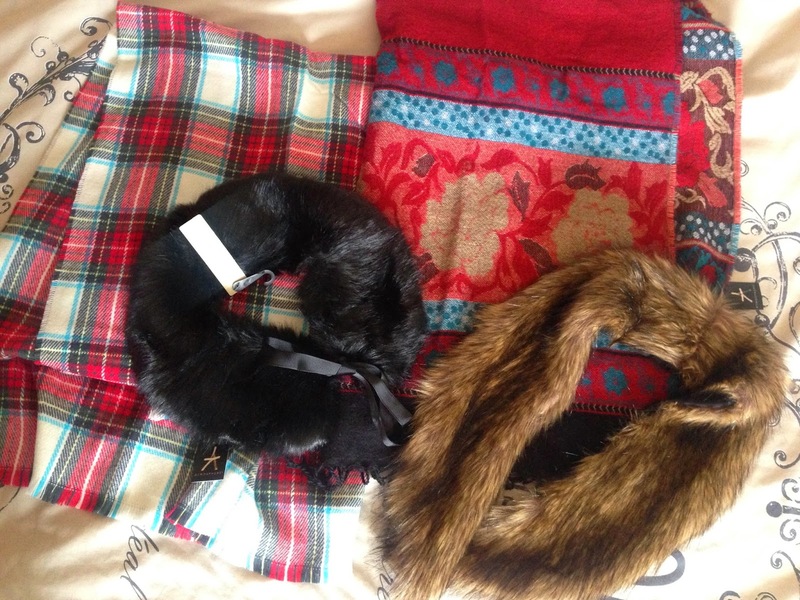 I love a good scarf so I grabbed a few from various places. These Primark scarves are so big and thick that they can even be worn as wraps - they really are amazing! I also couldn't resist grabbing some faux fur. I know I already mentioned the stole but LOOK AT IT! I was really impressed that the Primark gloves are real leather and came in a variety of sizes (one of which fitted my huge hands). I'm not big on gloves (if that's a thing...) so wasn't wanting to spend on them. I must admit; this was a total impulse purchase! I'd really wanted a fur coat but had written it off as I needed more essential things like shoes and I knew one would cost a good £80. 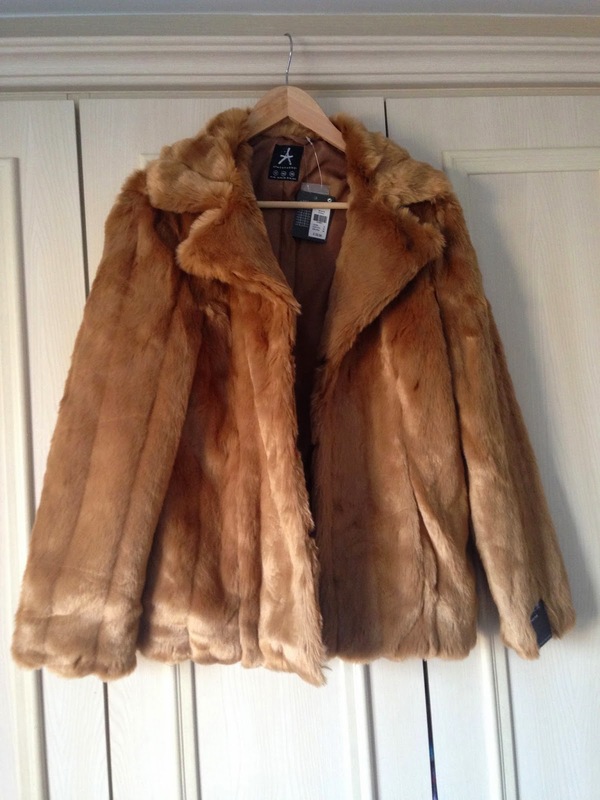 In steps Primark with this caramel-coloured beauty! Not the most exciting things in the world but I also got some workwear. 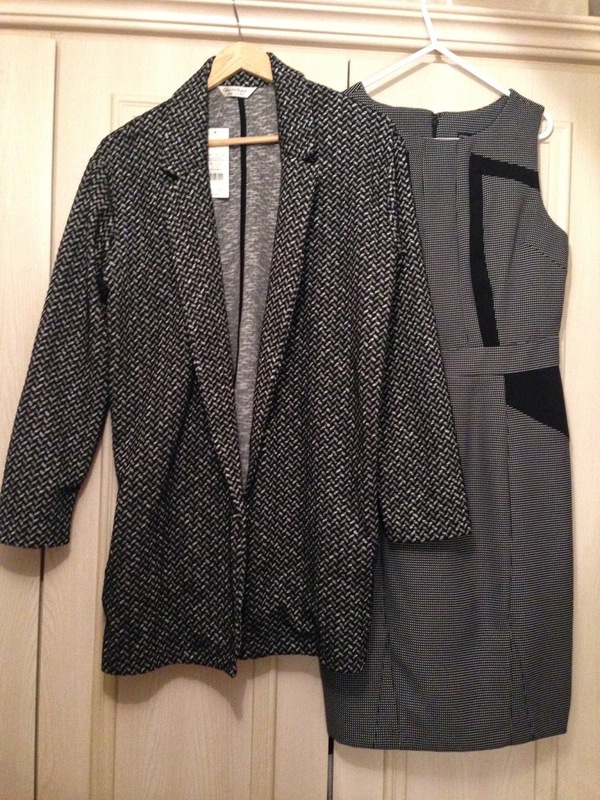 The jacket could work as a daytime piece too though; it was another impulse buy as I was actually in Miss Selfridge to return something! 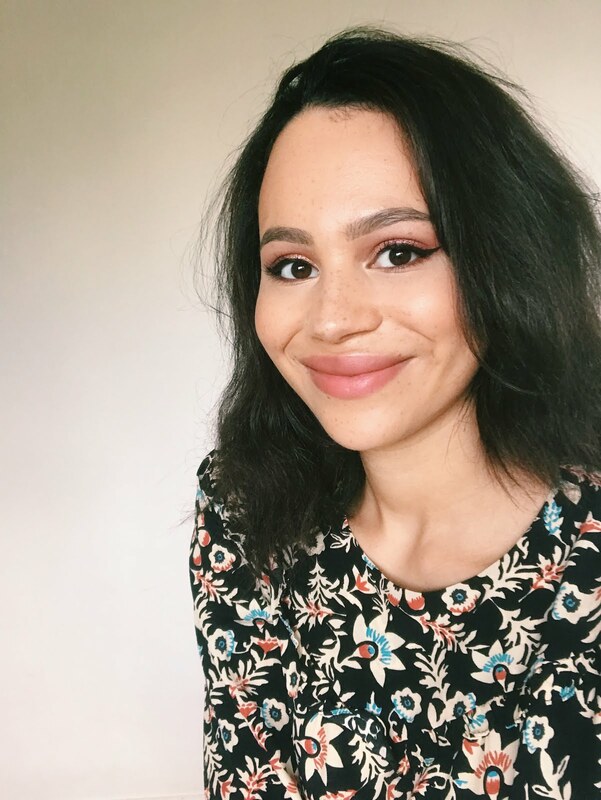 I grabbed this £12 Primark dress because I have it in plain black and it's so flattering and great! It's served me so well I couldn't resist. 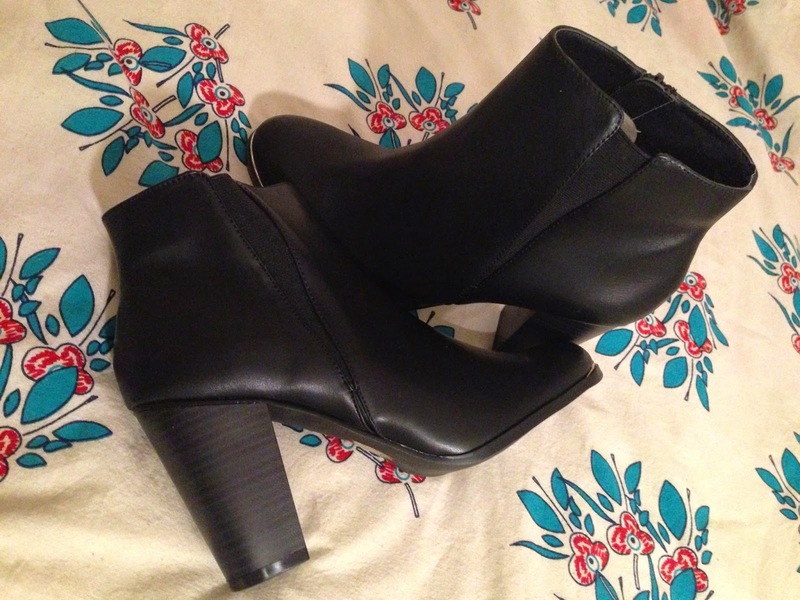 I'm not normally a 'heels in the day' kind of gal as I'm really clumsy and not very careful...however I thought these boots would be really comfy and a good way to add a bit of style to an outfit whilst still staying warm. As you can probably tell, I'm loving Miss Selfridge right now! Their range isn't huge but everything is on point and stylish. I was wearing the camel version of this faux-fur trim cardi so much that I snapped up the black version in the Black Friday sales. 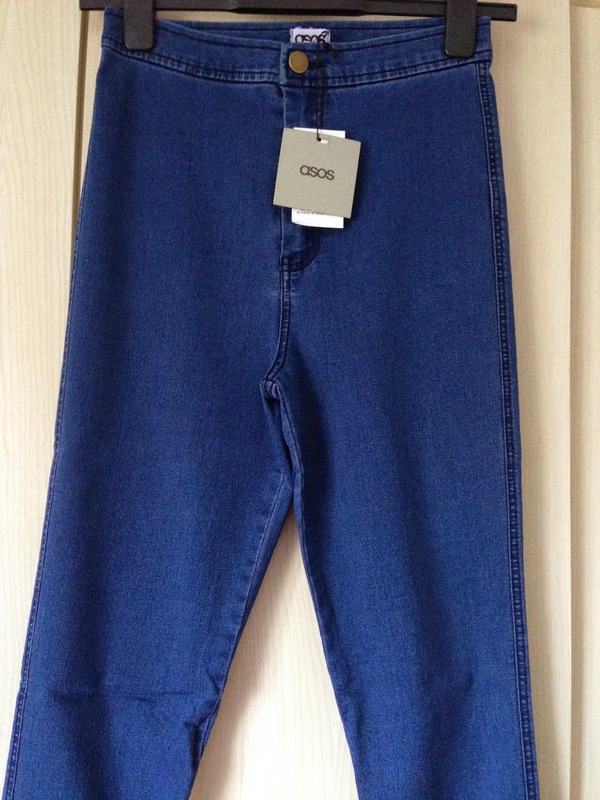 My love of jeggings is no secret - I just can't go back to the stiffness of conventional jeans! I love the Rivington style from ASOS so wanted to pick another colour during the Black Friday sales. It's not the most seasonal but I love this vintage wash and the fact it comes in so many different leg and waist sizes. They're a total bargain even full price! 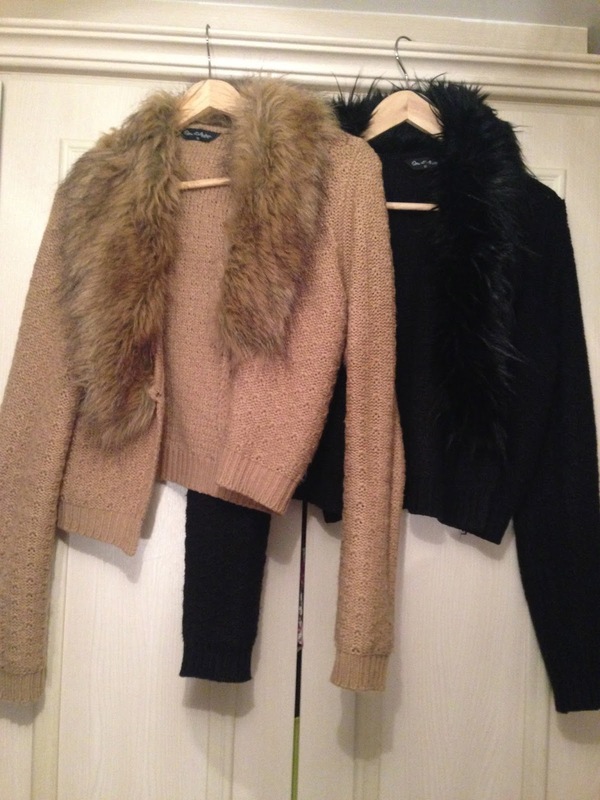 I really love Zara for the Autumn/Winter months and their sweaters are fantastic value! 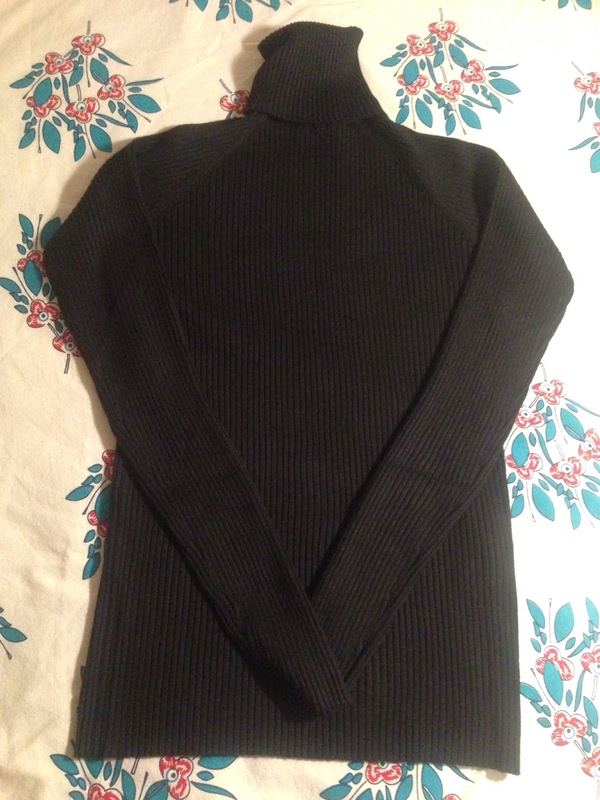 I think roll necks are so stylish so I'm very happy they're on-trend this season. I can't wait to tuck this into my ASOS jeggings! You can see some of the items styled in my OOTD posts here and here and keep your eye out for more! Where have you been buying your winter wardrobe? 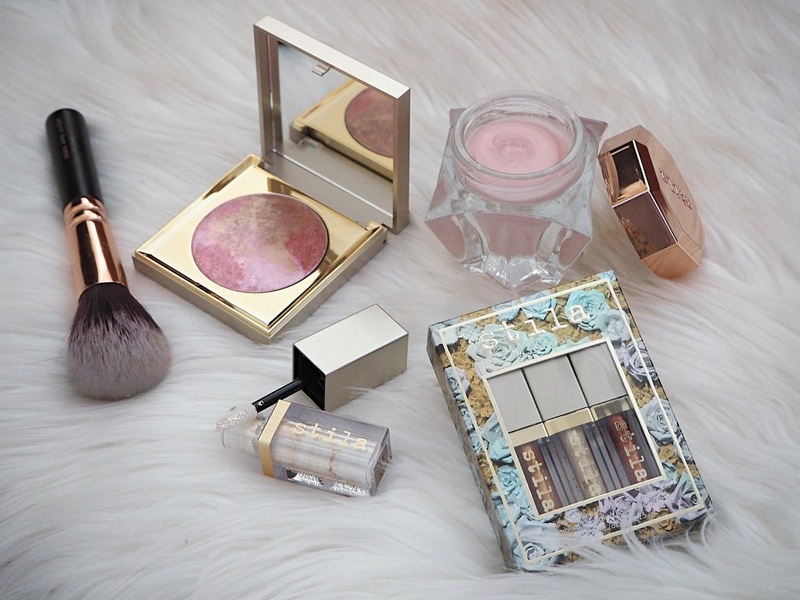 Don't forget to enter my giveaway here to win a high-end palette of your choice from Urban Decay, Nars, Charlotte Tilbury or Too Faced! 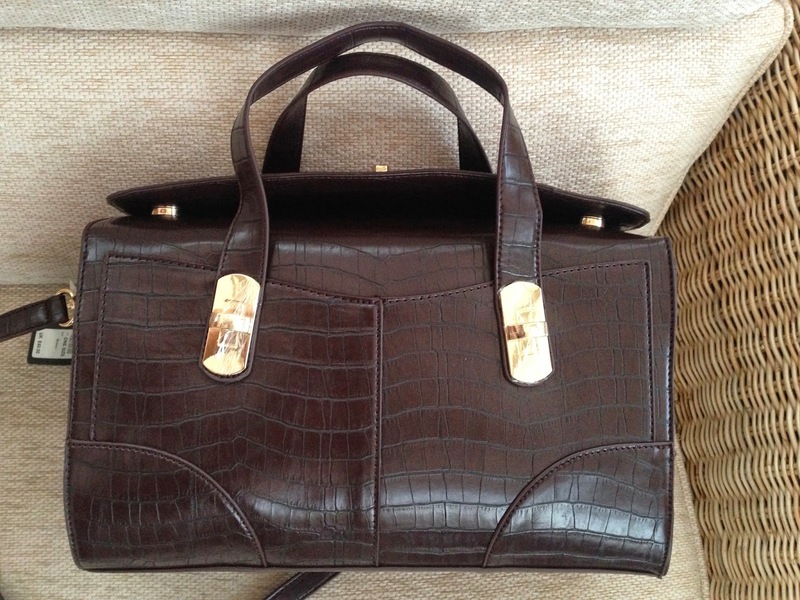 You've got some lovely bits here - I especially love the loafers and the croc bag!